IITA youth Agripreneurs (IYA) will be sharpening its entrepreneurial and business management skills by participating in a three-day Entrepreneurial and Business Management Training Workshop organized and sponsored by Ekimiks Nigeria Limited. IYA with some of their other counterparts from other 5 selected African countries such as Kenya, Zambia, DR Congo, Tanzania and Uganda will convene at IITA’s conference center in Ibadan, Nigeria between 3rd and 5th of February to gather experience that will facilitate effective management of their agribusiness enterprise. Ekimiks Nigeria Limited is a consulting firm that seeks to empower business owners and managers including budding entrepreneurs on financial and management related issues that will facilitate effective and efficient running of the organizations. IYA’s Head of Capacity Development Unit Owoeye Molayo stated that the workshop became imperative because of the roles being played by IYA among youths in the agricultural sector. She added that the workshop will better equip and prepare agripreneurs for future challenges especially in the business world. IITA Youth Agripreneur IYA is a group of young vibrant minds from different educational backgrounds who have embraced agriculture as a means of livelihood. This group of 35 youths focus on promoting agriculture among other youths by providing them with training and exposure on agricultural best practices and value chain. The organization which has its head office at the IITA headquarters in Ibadan has been replicated in other IITA hubs such as Tanzania, DR Congo and Zambia. The workshop is aimed at creating and/ enhancing productivity and ultimately profitability of the young agripreneurs involved along various value chains of agriculture and is expected to transform the attitude of all participants, while strengthening their skills for increased productivity. Various sessions at the workshop include: Leadership and Self-Management in Entrepreneurship, Essential Business skills, Business Accounting, Effective Sales and Marketing Strategies, Creating a Bankable Business and many others would be used to facilitate the learning processes. At the end of the training, the trainees are expected to have a basic knowledge of Book-keeping and Accounting, Zero defects in Business Operations, Corporate Governance Practices, Fundamental Entrepreneurial Skills etc. Use #AG4YA2015 (Twitter) to follow up on the event. 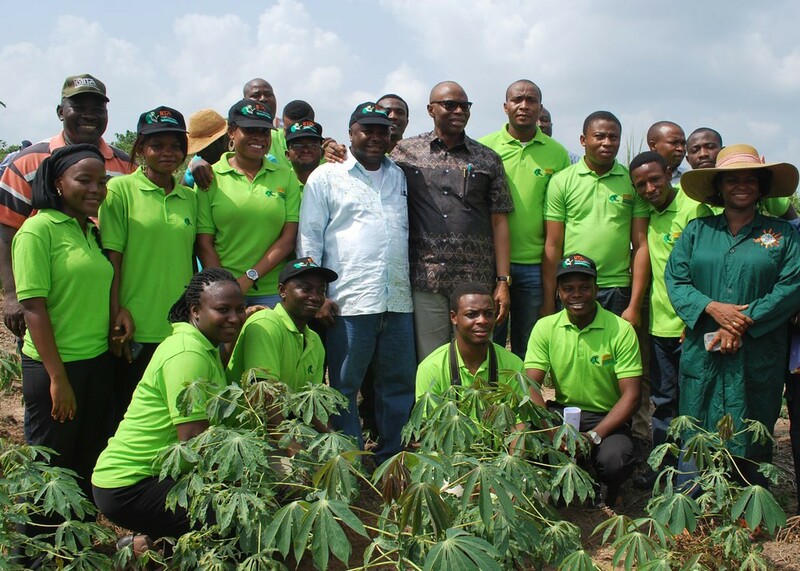 The Governor of Ondo State, Dr Olusegun Mimiko has described the IITA Youth Agripreneurs’ (IYA) initiative as a source of inspiration for the birth of the state’s Agro-business city. 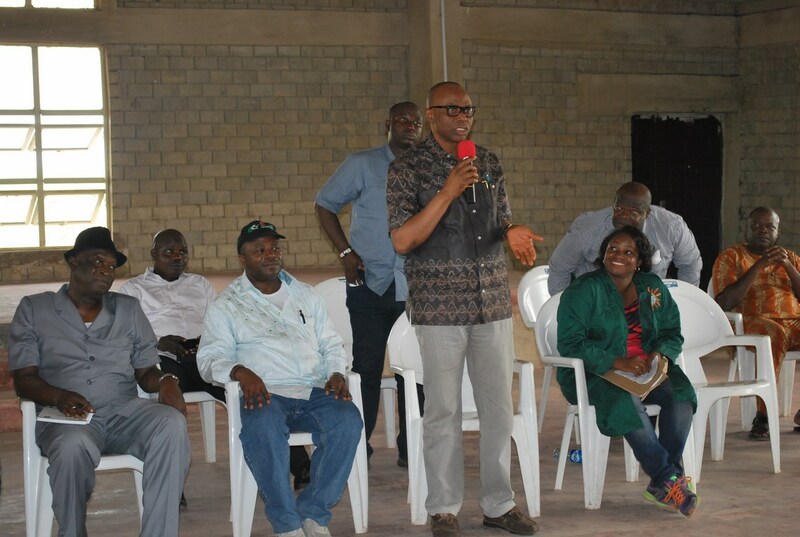 Dr Mimiko stated this during a working visit paid by the Director General of IITA Dr Nteranya Sanginga and members of the IYA to the Ore Agro Business City also known as Ore ABC in the state. Ore Agro Business City is an Ondo state government initiative under the Wealth Creation Agency (WECA), which was set up by Governor Mimiko’s administration to stem the tide of unemployment by involving youths in agriculture. In his welcome address, Dr Mimiko commended IITA for its continuous support since the inception of the agro business city, revealing that the institute provided the necessary technical backstopping and mentoring for the youths known as PRO-FARMERS involved in the initiative. The Pro-farmers after 18 months of intensive training at Ore ABC are expected to establish and run their own farms and become employers of labour in the agricultural sector. While disclosing the activities of the Pro-farmers, the chairman of WECA Barrister Bolanle Olafunmiloye, stated that over 360 hectares of maize and cassava have been cultivated, with over 1,500 hectares of oil palm plantation as well. She added that the pro-farmers have also ventured into livestock rearing with about 4,600 broilers and 20,000 catfishes. Also speaking during the visit, the Director General of IITA, Dr Sanginga, commended Governor Mimiko for his effort in encouraging the youths in the state to adopt agriculture as a means of livelihood. Dr. Sanginga revealed during his remarks that although it was not easy at the initial stage but through continuous mentoring and training, members of IYA have been able to achieve a lot and the institute as well as IYA intended to do the same with the Pro-farmers in Ore ABC. Dr Sanginga further advised the Pro-farmers to delve into the areas of marketing and value addition for their farm produce. “Cultivating and planting is not enough. When you plant and you do not have anybody to buy, then it all results to nothing. So look more into the areas of marketing and value addition of these things. There are several things you can do with cassava, maize etc. You can make ice-cream, biscuit, etc from cassava. And when you do this, people will buy,” he added. Governor Mimiko however showed appreciation to Dr Sanginga for shedding light on other areas in agriculture. The IITA and IYA in partnership with the Ondo state government also own demonstration fields of cassava and plantain in the Ore ABC. These fields were established to showcase the potential yields that can be gotten when best agronomic practices are ensured. IITA scientist, Dr. Okechukwu revealed that agriculture ought to be science-based to ensure optimum yield, hence maximum revenue for the farmer. IYA will also be diversifying into the planting of high quality maize and cowpea in Ore ABC in the coming year. The IITA team which comprised DG Sanginga, Drs Dixon and Okechukwu as well as IYA members were taken round the fields. The International Institute of Tropical Agriculture (IITA) and Dr Nteranya Sanginga, the Director General, received commendations at the 15th anniversary of the Forum for Agricultural Research in Africa (FARA) held at Johannesburg, South Africa, 26-29 November 2014. At the event, there were various sessions and panel discussions where representatives of the IITA Youth Agripreneurs: Odusanya Oludare and Owoeye Molayo, championed the cause of youth engagement in agriculture. The panel discussion began with presentations from the two agripreneurs who showcased some of the activities and the prospects of involving the youth in agriculture to reduce the level and effects of youth unemployment in Africa. In their presentations, the IYA representatives stated that the importance of youth involvement could not be over-emphasized as this would re-shape the agricultural sector and give it a new face. HE Tumusiime Rhoda-Peace, Commissioner for Rural Economy and Agriculture, African Union (2nd from left); Dr Akin Adesina, Minister, Federal Ministry of Agriculture and Rural Development, Nigeria (3rd from left); and Dr Jimmy Smith, Director General of ILRI (4th from left), during a panel discussion at FARA@15. While commenting on the activities of the group, Dr Fina Opio, the Executive Director of Association for Strengthening Agricultural Research in Eastern and Central Africa (ASARECA), stated that changing the mind-set of young people would go a long way in improving the sector. She stated, “If we can change their mind-set and let the youth know they can run agriculture as a business, I think they will make headway. I have visited IITA and seen what their young people are doing. I even went to Ondo State in Nigeria with them and wish to congratulate them. I love their energy.” She called for support to sustain the zeal and enthusiasm displayed by the youth. The Nigerian government has launched two initiatives to encourage young people to become more involved in agriculture, and stem the rising unemployment in the country. The two initiatives which were inaugurated by President Goodluck Jonathan in December are Youth Employment in Agriculture Program (YEAP) and the Fund for Agricultural Finance in Nigeria (FAFIN). The YEAP which is similar to the IITA Youth Agripreneur (IYA) model is designed to reposition the agricultural sector by involving, developing and raising 760,000 youths in agribusiness within the next five years. FAFIN on the other hand is a financing vehicle targeting Nigeria’s small and medium enterprises in agriculture. The YEAP program which is part of Nigeria’s Agricultural Transformation Agenda (ATA) will involve at least 20,000 youths from each state of the federation. President Jonathan, stated that the program encompasses all the economic activities along the agricultural value chain, including commercial farming, processing, value addition, logistics, transport and marketing of value added agricultural produce. Describing the agriculture sector as vital for the country’s growth, President Jonathan said the involvement of youths in the sector would rapidly boost the sector. He further stated that, with the program, young people would not only take agriculture as a way of life, but also as a viable source of generating income. He said youths under the program would be known as Nagropreneurs, and added that he was confident that the agricultural sector would produce several young millionaires and billionaires in the country. President Jonathan noted that the ageing population of farmers posed a significant threat to the agricultural sector, and said unless young farmers were developed, the nation’s food security would be compromised. In order to change the negative perception about agriculture, the President emphasized the need to adopt mechanization in the sector. According to him, his government plans to successfully attract young people into agriculture by replacing the hoes and cutlasses with modern farm machineries. While shedding light on YEAP, the Minister for Agriculture and Rural Development, Dr Akinwunmi Adesina, said the launch of the program was the birth of an idea that was conceived three years ago. He said with the current fall in the price of crude oil, agriculture would now serve as a better option as the country’s source of revenue. 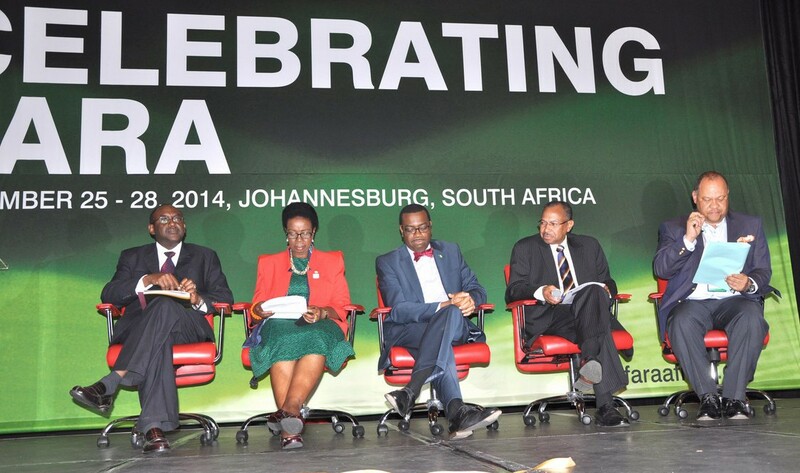 Presenting the success story in the sector, Dr Adesina revealed that food importation had reduced drastically. His words, “food importation has reduced due to the effort being invested into local food production. In the last three years, we have produced over 21 million metric tons of food and I think that is quite encouraging. The country no longer needs to import food,” he said. Ohanwusi Evelyn, who represented the IITA Youth Agripreneurs (IYA) commended the initiatives saying that through agriculture, many youths would be employers of labour thereby reducing the scourge of unemployment in the society. Another agripreneur, Mosunmola Umoru encouraged other youths to become actively engaged in agriculture. Side events at the launch included exhibitions of agricultural produce ranging from snailery, horticulture, fishery, rice processing, palm fruits, bee keeping, leather works, and cassava processing among others.